It Christmas time and everyone is in holiday mood planning vacation to different happening destination. For Indians Thailand and Hong Kong are the hottest destinations from decades. 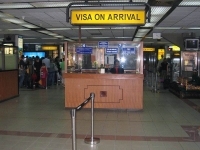 Being neighboring countries their stands on visa for Indians is dramatically opposite. Thailand has announced a waiver or discounted visa fees for Indian to cash on the season, looks Hong Kong is in no mood to increase their tourism. The latest announcement from Hong Kong is taking everyone by surprise when they were informed about taking pre-authorization prior visiting Hong Kong and they have even withdrawn visa on arrival facility for Indians. “From January 23rd 2017, Indian nationals must apply for and complete online pre-arrival registration before enjoying their 14 day visa free visit, or entering Hong Kong during transit. The pre-arrival registration platform for Indian will launch on December 19th 2016. Registration is free. The computer system will display the result instantly once the registration is made.” The Hong Kong information services department website informed.